Should Pokemon Go be banned in the U.S because it caused 100,000 car accidents? Watch out Poke masters, Pokémon is going dangerous. With the recent hype of Pokémon Go, people are now getting out of their homes to experience the augmented reality game centered around catching Pokémon. Seems great, right? Well as it turns out, Pokémon Go has sent a lot of people to hospital emergency rooms, and the numebrs are more than you'd imagine. 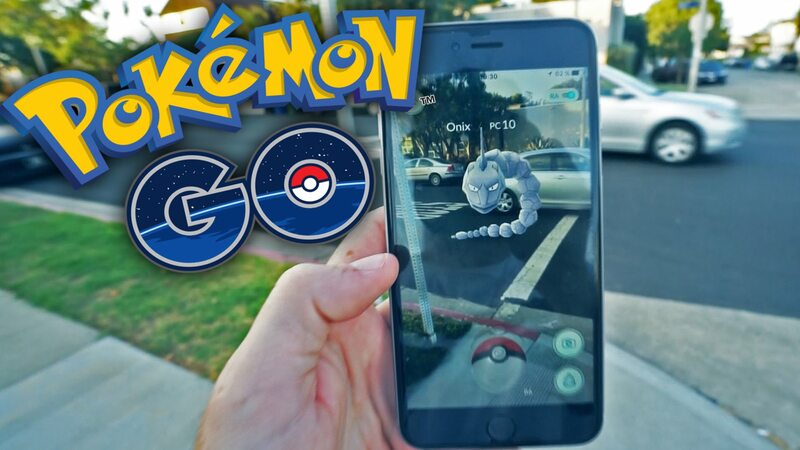 Due to the nature of the gameplay, players are required to traverse the real world, as the augmented reality places Pokémon virtually anywhere. Naturally the game rose to the charts on app stores across the world, as Pokémon Go brought back the stunning reality we all wanted as children, to be real world Poke trainers! Well, somewhat at least. Since the game's release, there have been numerous reports of injuries caused by playing the game. One user was too distracted and ended up with a gnarly cut on his hand after his longboard crashed. And although he doesn't blame Nintendo or Pokémon Go for the mishap, the crash did happen while he was looking for Pokémon to catch. And another user noted that she twisted her ankle pretty bad while wandering the city at night looking for Pokémon. Users seldom have their phones put away or out of sight, and robberies have occurred because of the game and its' ability to take the awareness off of the rest of the world. A video went viral after a player was robbed of his phone while strolling New York's Central Park late at night searching for Pokémon. 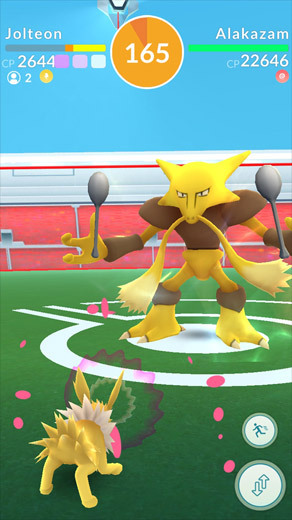 Pokémon Go for many is a double sided sword, a game that both encourages people to get up and be active, while at the same time taking the focus off of nature and onto the mobile screen. But that's exactly the point of Pokémon Go. You have to trek around the world, visiting local landmarks for supplies. The game's developer Niantic turned local statues, artwork, parks and restaurants into "Pokestops", which dispense items needed for an enjoyable gaming experience. Other areas have Pokémon gyms, where players can battle for control. But most of the time you simply have to load the game up and go for a walk. Which is pretty cool, to say the least. Pokémon Go players are getting a lot more active than the traditional gaming we all know, and Niantic incorporated beautifully the local landmarks and hotspots, so at the very least the players are learning and exercising. And the game is also encouraging social interaction. Gamers are often seen moving around in groups as they play. Pokémon Go's success has even spawned massive meet ups, often with hundreds if not thousands of participants. For many it's a dose of nostalgia and an outlook onto the future of gaming. Augmented reality is after all, pretty cool. But the game isn't without its flaws. 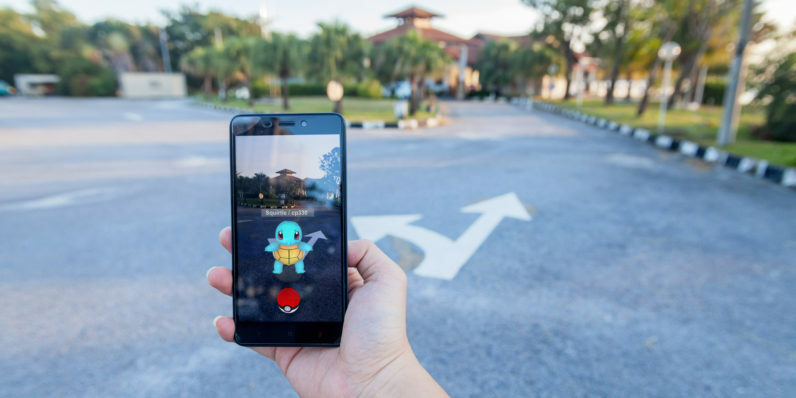 Many users have reported seeing Pokémon pop up on cars, in the middle of intersections, at police stations and even military bases. Naturally, some of these areas are restricted to the public. A developer well experienced in games that require real world movement and incorporate the GPS function should know not to develop a game that encourages trespassing. The only setback it seems is that Pokémon Go encourages constant movement and traveling so much, that users are even spotted driving around looking for Pokémon, assuming they aren't trespassing on foot. There's just more chances to catch the rarer Pokémon types and gather more supplies if one is able to traverse longer distances. Obviously this is a huge issue, and one that has been relatively over looked by Niantic. So far users aren't able to hatch eggs while driving, which isn't really an issue because hatching an egg with Pokémon Go doesn't require any attention in comparison with the rest of the gameplay. According to a study published in the JAMA journal, approximately 113,000 road accidents were caused by Pokémon Go within the first 10 days of the game's release. This is a huge concern and one that Niantic needs to address immediately. Should Pokémon Go be banned because of the 100,000 Pokémon accidents? Of course, but only if Niantic stays silent on this issue. It wouldn't take much for the developer to release an update that stops the game if a user is driving. Considering the game utilizes the GPS function and measures a users' movement, it would be quite simple to tell whether the player is also operating a motor vehicle. But suppose the user is just a passenger in the vehicle? Well, a simple photo verification would solve that issue right away. For drivers who want to play Pokemon Go, Niantic could force the game to shut down, or not load up at all if this is the case. Pokémon Go is too great of a game for this issue to cause any impact on it's availability.